“San Pedro” (Trichocereus pachanoi) is a columnar cactus that is distributed throughout northern Peru and has traditionally been used in divination ceremonies and folk medicine since pre-Hispanic times until present day. “San Pedro” is used to make a drink called “achuma” which brings occasional visual and auditory hallucinations; the product intake is of an alkaloid mescaline, which is where you find the tissue parenchymal clorofilianos. At least 4 more of the genus Echinopsis possess this alkaloid and are recognized, which are the most known after Trichocereus pachanoi, Trichocereus peruviana. In Peru, several species of cactus have been part of the resources used by ancient Peruvians since pre-Columbian times to the present day. The first inhabitants of the coast’s used it for making household utensils, such as needles, pins, hooks and combs (especially with the thorns of the species Neoraimondia arequipensis) (Piacenza & Ostolaza, 2002; Ostolaza, 1994; 1996) and also in the preparation of mortar, where it acts as a binder, which dries and so acquires a tough constitution and it was used for the construction of old houses (species such as Austrocylindropuntia subulata ssp. exaltata, Corryocactus brevistylus, Neoraimondia arequipensis and a species of Opuntia were used for this purpose also) (Alvarez & Cáceres, 2003). Remains of seeds of a species of Opuntia and Haageocereus were also found in coprolites (fossilized feces) belonging to the Horizontes preagricultural dated (10.000 – 6000 BC) and Precerámico which was dated (6000 – 3500 BC), thus indicating that its fruits were consumed from those eras (Ostolaza, 1994). Moreover, a constant in the various art forms of the pre-Inca cultures is related to magical-religious purposes of a cactus I columnar referred to as “achuma” or “san pedro” (Echinopsis pachanoi), which was the central axis of these ancient practices (Cabieses, 2007). And uses, related to the latter practice are discussed below in greater detail. Native to the Andes. It grows at altitudes between 1000-3000 meters, it is found in Argentina, Bolivia, Colombia, Chile, Ecuador and Peru, and is cultivated in other parts of the world. In Peru, there are several plants known and used with psychoactive components. The most used in traditional medicines are coca leaves (Erithroxylum coca Erithroxylaceae), the ayahuasca vine (Banisteriopsis caapi, Malpighiaceae) and the cactus “San Pedro”, the popular name given to the species Echinopsis peruviana pachanoi and E. The first is also known as the “san Pedro female” because of the scarcity of thorns, while the second is known as “san Pedro male” to which he was also attributed stronger properties in the traditional medicine sessions (Reyna & Flores, 2001). On the latter, it is worth noting that it has been part of various magical-religious events dating back to pre-Hispanic times, and it was noticeable in the Chavin (200 – 1200 BC) cultures, Paracas (0-300 BC), Nazca (100 BC – 700 AD), Mochica (200-700 AD), Chimu (1100-1470 AD), including the Inca (1438 -1532 AD) (Ostolaza, 1995; 1996; 1997; 1998a; 1999; 2000); and still is part of artistic performances and craft of Ayacucho (See Figure 1). In this introduction we refer to it as san Pedro, in all cases to E. pachanoi, a cactus which had a greater diffusion in traditional medicines. Decoction of stems as a drink known as “huachuma” or “achuma” an Aymaran word used to describe a binge (Cabieses, 2007) . “… Drink a concoction called achuma (…) the juice of a thick, smooth (…) cardones and see visions that the devil represents” (Ostolaza, 2000). 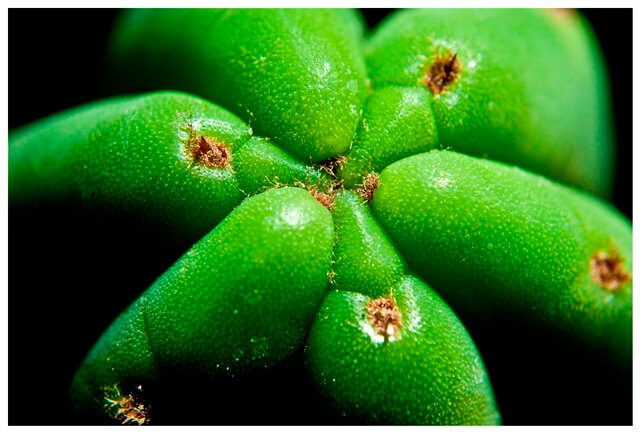 The mental effects of this cactus are mainly alterations in perception, affection, and thought and consciousness and of self; and are due to the presence of the alkaloid mescaline (3,4,5-trimethoxy-β-phenylethylamine, see Figure 2) which is approximately 0.8 – 2.4% of dry extract of the cactus (0.12% of fresh produce), although this value can vary greatly depending on the methods used for extraction, the cultivation chosen for extraction and / or the source of the plant (Gutiérrez-Noriega & Cruz-Sanchez, 1947; Cabieses, 2007; Serrano, 2008;. Cjuno et al, 2009; Cjuno et al, 2010;.. Ogumbodede et al, 2010), the shaman or shaman who consume the achuma are seeing in a psychotropic trance, and are identifying the evils of the people who have attended the meeting, and are trying to visualize future situations related to health, money and love (Reyna & Flores, 2001). With respect to traditional medicine, it is used for diagnoses based obviously on psychoactive properties of the plant (Dobkin River, 1972) for therapeutic purposes. Well, its use has been reported for the treatment of mental illness in which the healer or shaman tries to identify the origin of evil that afflicts the patient, relate to witchcraft cases (Boggiano & Valdivia, 1981; Brack, 1999). Although consumption is related to a practice of traditional medicine, is also part of a small circuit where its use has “recreational” and ends “hedonistic” in which young people who do not have access to illegal drugs seek san Pedro to experience its hallucinogenic effects, often being the delight of foreign tourists who perform specific trips and tours for cannabis use (CEDAR, 1993, 1997; Halpern, 2004; Halpern & Andrew, 2005; Kvist & Moraes 2006), whereas people have grown since pre E. pachanoi, and its range has expanded making it difficult to determine its original geographic location (Kvist & Moraes, 2006; Ogunbodede et al, 2010).. 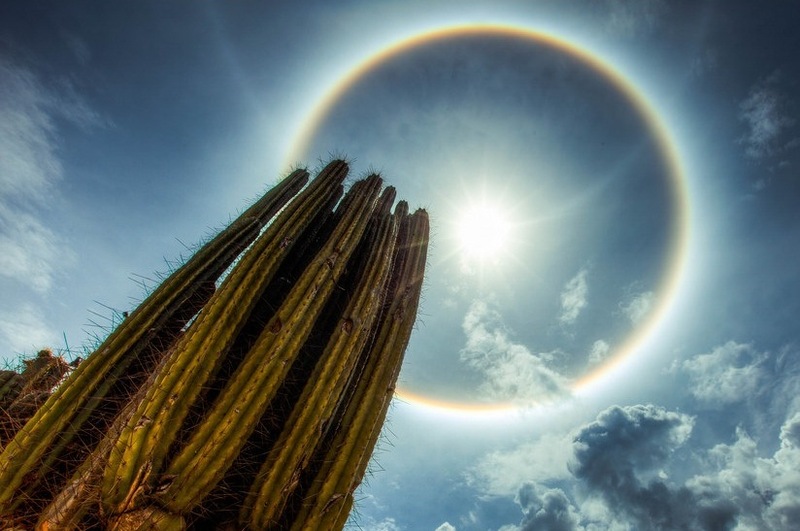 However, the thesis is that the centre of origin of this cactus is between southern Ecuador and northern Peru, and it was later introduced to the rest of Peru reaching Bolivia (Cárdenas, 1989). It is in this region that there still remains sharpe customs related to shamanic practices; where there can be found natural populations of these species, although recently in Ecuador, these practices are being abandoned (C. Loaiza, pers com). 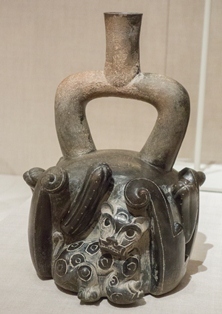 It has a long tradition as an Andean traditional medicine, some studies have found archaeological evidence of its use going back two thousand years to the “Chavin” culture. It wasused bythe natives inreligious festivalsfor its hallucinogenic properties due to the large number of alkaloids that have particularlymescaline. Making a drink called “aguacoya” or “cimora” generally mixed with other entheogenic plants were prepared. 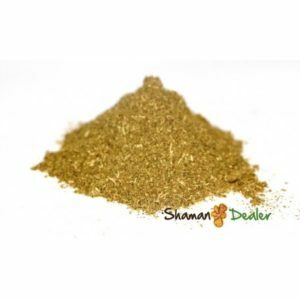 It is now widely known and used to treat nervous disorders, joint, drug addiction, heart disease and hypertension, also has antimicrobial properties. The San Pedro cactus has a high concentration of mescaline. 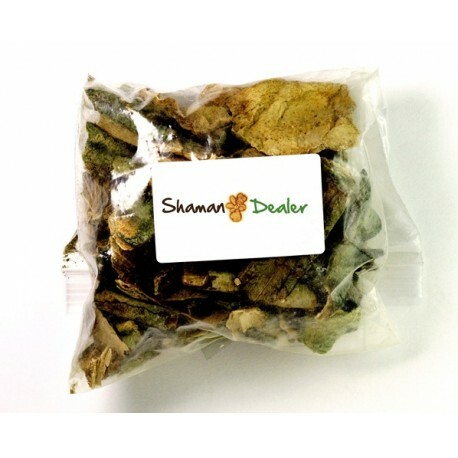 Mescaline has been used for various purposes, traditionally it played a vital role in religious rituals among Native Americans, who consider this substance to open the spirit, having penetrated into other cultures, mescaline was used for recreational purposes, but also as an entheogen to facilitate psicoexploracion. San pedro powder, san pedro dried powder, san pedro dried, san pedro cactus, san pedro inciense.